When people walk into your home, one of the first things they notice is your upholstery. Keeping your home looking beautiful at all times should always be a priority. You need to invest in regular upholstery cleaning in London to keep the entire home fresh and good looking. One of the main reasons why many home owners fear hiring upholstery cleaners is that they are afraid of the damage that may occur on their furniture. Truth be told, if the right chemicals and techniques are not used in sofa cleaning, your valuables are at risk of damage. So where can you seek reliable services from professionals who actually value your furniture? The best choice is London Cleaner cleaning company. We cover all Central and Greater London areas, including Kent, Surrey, Kingston and Middlesex. You cannot manage to clean upholstery thoroughly on your own. A lot of germs harbour in hard to reach places on your furniture. These disease causing germs are not always visible with the naked eye. You do not have to wait for dirt and germs to steal the beauty of your furniture before seeking the help of the experts. Regular upholstery steam cleaning is a must. You need professional sofa cleaners to sort you out. Your home will remain clean and neat and the life of your furniture will be extended significantly if you consider regular cleaning. However, the cleaning must be done using the right techniques and cleaning products in order to restore the beauty and color of your furniture. In case the wrong chemicals are used, you can damage the furniture and create even greater problems. 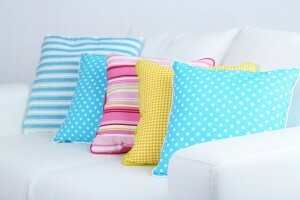 We can provide upholstery cleaning services for different types of fabric. Furniture can be cleaned on your premises using either the Wet or Dry Cleaning Method. You can also get anti-stain and anti-static treatment on your furniture. It is also important to get rid of mites and fleas by spraying the furniture. All these services can be offered by our qualified upholstery cleaners. You can check out our affordable cleaning prices – click here. For more information about our upholstery cleaning London and to get in instant free quote now on 020 8884 9142.